Primolino is a textile brand specialising in the production and marketing of hotel textile supplies for restaurants and industrial laundries. Our product lines range from tablecloths to high quality bed and bathroom linen. We produce a wide range of products and accessories to meet the diverse needs of a continuously developing market. 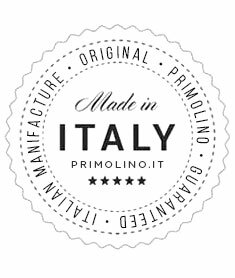 Primolino manufactures and supplies high quality fabrics. Continuous investment in research and technology has allowed this all-Italian company to penetrate a European and global market with 100% “Made in Italy” products. With a long textile manufacturing tradition behind them they have moved on to innovate and continuously improve quality. Over 30 years of experience and a reputation for excellence have turned Primolino into a leading brand for textiles for industrial laundries. The use of high-quality yarns and the latest generation of manufacturing equipment has made it possible to create fabrics that have a high tolerance of industrial washing cycles without sacrificing style or elegance. The Primolino textile brand aims to produce high-quality industrial textile supplies with a long-life span without sacrificing style or elegance. Textiles with the essential qualities required to withstand the wear and tear of a professional working environment. Primolino tablecloths have over 30 years of experience in production and marketing behind them. The collections include tablecloths for restaurants, catering, banqueting and weddings. The yarns and colours used are tested to withstand the washing treatment typical of industrial laundries. The Primolino brand bathwear collections meet the highest quality standards. We produce cotton terry cloth towels, in double twisted fabric, and towels from bamboo and other special new-generation fibres that create the most hard-wearing bathroom accessories on the market. Our range of linen for hotels can be tailored to the customer’s specifications. The customer can choose the type of material used to make their items, the manufacturing technique used, the dimensions and the treatments, and can create their own customised bath linen sets. The Primolino name is synonymous with high-quality hotel textile supplies . Our textile collections include hotel table linen, bedroom linen, bathroom linen and hundreds of other hotel and guesthouse accessories. Resorts and spas the world over benefit from the comfort and sophistication of Primolino products, using them to provide their guests with a high-quality experience. Special lines of fireproof fabrics for hotels complete our already extensive range of products. Primolino specialised table linen collections have a high profile in the Catering and Banqueting sector. The use of the latest generation of yarns and innovative production techniques produces fabrics that are very versatile and easy to maintain. For the most demanding customers, our tablecloth lines are made with the finest yarns and we produce special collections for weddings and wedding planners . Thousands of restaurants around the world have already chosen quality Primolino products to embellish their tables. Our unique range of tablecloths for restaurants can satisfy the diverse requirements of an ever-changing market. In collaboration with world-renowned award-winning chefs we have developed special lines of tablecloths designed for unique and out-of-the-ordinary environments. Any Questions? Call us on +39 039.227 84 06 . Our products are available in hundreds of countries all over the globe. We cater to the professional user. Primolino is a brand dedicated to satisfying real-world B2B demands and it is for this reason that, in our production methods, we constantly try to balance elegance and style with features typically demanded by the professional sector, such as durability and versatility.